Junior Development Archives - Page 3 of 6 - Newtown City Hockey Club Inc.
Congratulations to Harry Dolenc, who has been selected in the Hockey Victoria U21 Men’s team, following on from his participation in the Victorian U21 Indoor team in 2013. 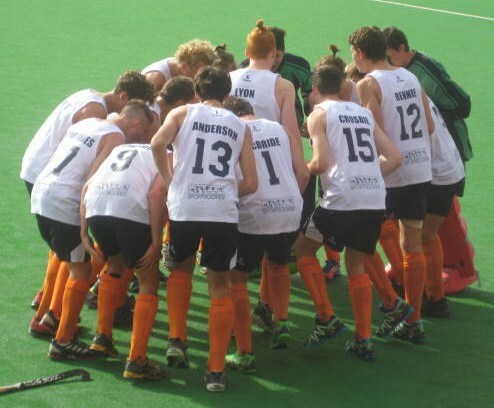 Harry’s hockey career continues to prosper, and while the Newtown City Hockey Club is proud to take some credit for starting him on this pathway, Harry has earned the rewards of his hard work. 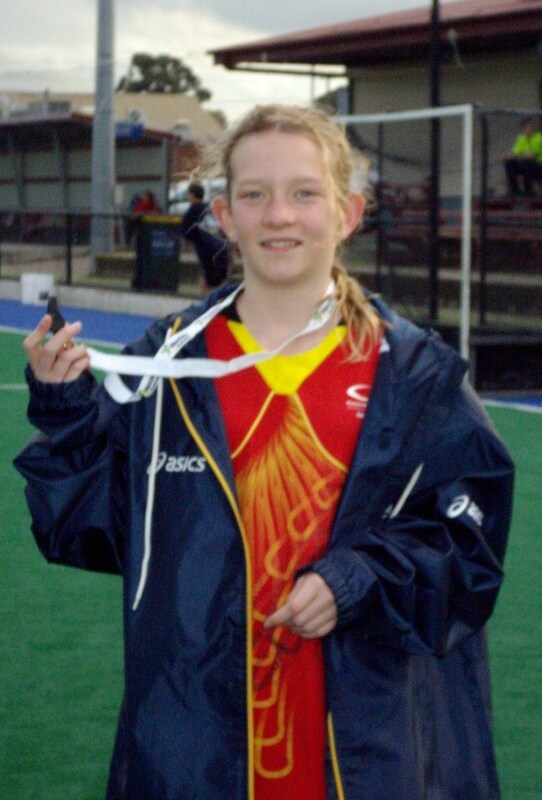 Harry began his hockey career at the age of 5, when he joined the Newtown City Hockey Club and played in the Minkey (Mini-hockey) program at Lloyd Reserve, Newtown. The program provides a great basis for young players to learn the skills and strategies of hockey, and Harry learnt these lessons well. Harry has demonstrated a high standard of skill and inspired many of his fellow players over the ensuing years. A former recipient of the Hockey Geelong John Stephenson Award, Harry has also served as an excellent role model both on and off the field. Harry has played in Western Wildcats Regional and Victorian Junior Country teams at U13, U15 and U17 levels. 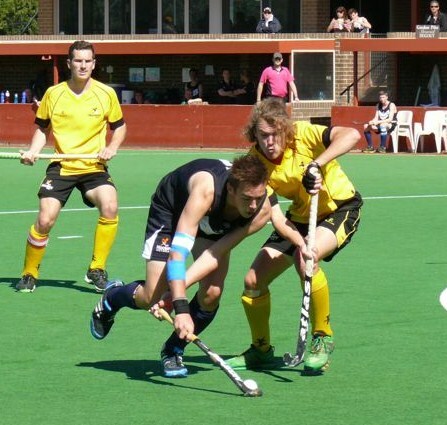 He was selected in the 16 & Under School Sport Victoria team, was named as a reserve for the Australian Schoolboys tour to South Africa, and in 2011, gained selection in the Hockey Victoria U18 Men’s team, playing in the National Championships. 2013 saw a further step in his career when he was selected in the Hockey Victoria U21 Men’s Indoor team. 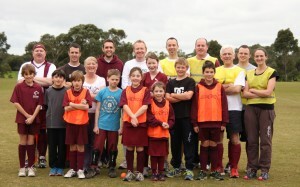 Harry has played with Altona Hockey Club in the last few years, and is a regular member of their Premier League team. 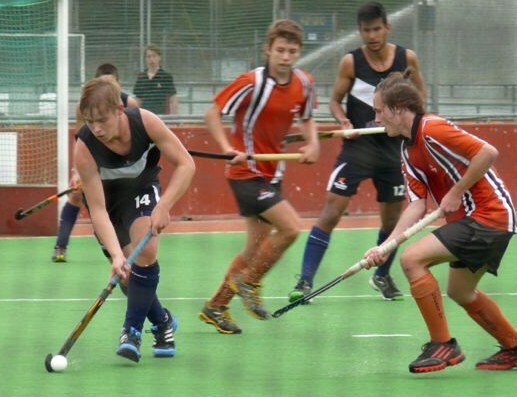 In addition, we have been very pleased to have Harry continue to play with the Newtown City Hockey Club in the Division 1 Men Newtown Falcons team. 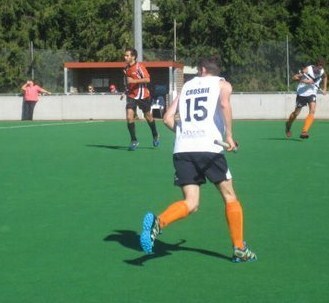 It was especially pleasing to have Harry as part of the team which won the Club’s first Division 1 Men’s Premiership in 2013. We congratulate Harry on his endeavour and effort and his achievements, and wish him well for the U21 National tournament, to be played June 30 to July 11. 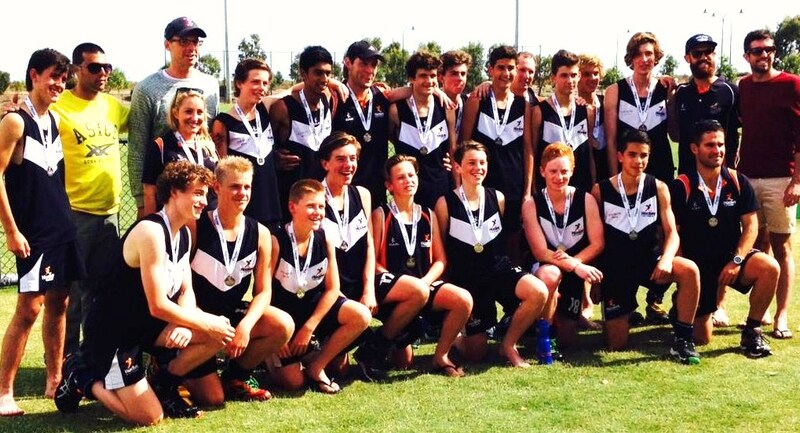 Congratulations to all members on their participation in the 2014 U15 and U18 National Championships. 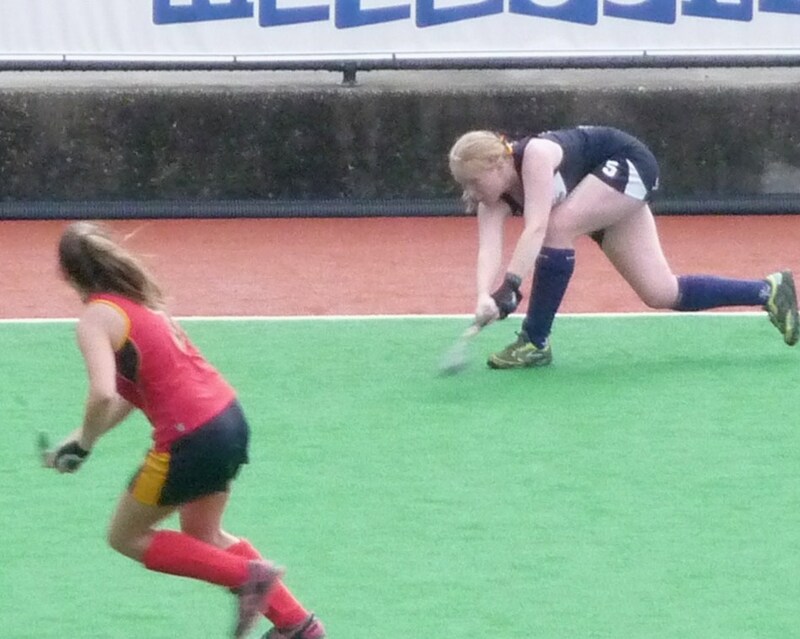 The U18 Women’s Championships saw Emma Hatton playing in the Victoria Blue (1) team. The team finished with 2 wins and 1 draw, which was enough to put them into the Bronze Medal match. A good start in the match saw Victoria score first, and Victoria managed to hold out ACT for a 3-2 win and a Bronze Medal. 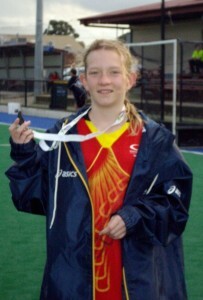 This is a great effort as Emma was one of the youngest players in the team. The U18 Men’s Championships Victorian Blue and White teams included Mack Dolenc, Ryan Parry, Will Crosbie and James Humphries. Both teams struggled to play all matches to their full potential, but the players enjoyed the experience. The Victoria (1) team with Ryan and Mack, had 3 wins and 1 draw in their pool matches but lost the semi-final to Queensland 2-4. 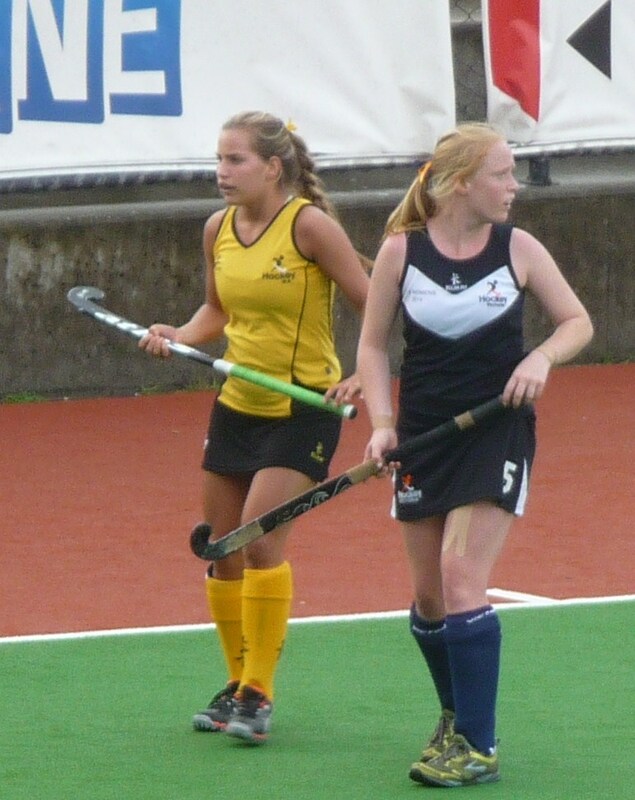 They then faced WA in the Bronze Medal final and although they had drawn 2-2 in their pool game, failed to improve on that and lost 5-1. A couple of nasty injuries to Victorian players in that game didn¹t help. Ryan and Mack both played well during the Championships. Ryan always looked dangerous around goals and finished with 4 himself, and Mack’s attack on the ball was outstanding. Will Crosbie and James Humphries were part of the Victoria (2) team, and although the team had some very tough matches, the final match finished as a draw which went to a penalty shoot out to decide the winner. 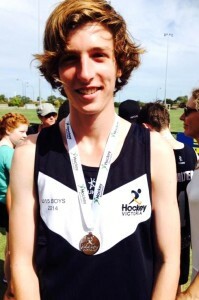 Congratulations to Gus McKinnon and the Victorian U15 Boys team who finished with a silver medal. 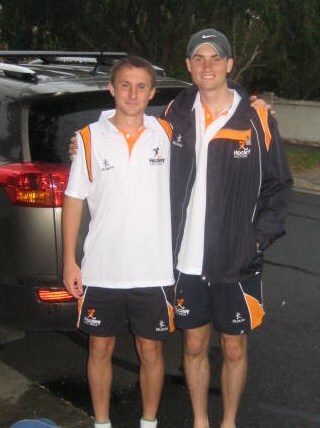 Gus reports that he enjoyed the tournament immensely, learned heaps and worked super hard. 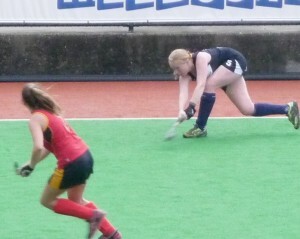 The team ended the tournament with 3 wins and 2 draws and played in the final against NSW. A fantastic game saw Victoria finish with a very close loss 4-3, in a match where the result could have gone either way for the whole game! 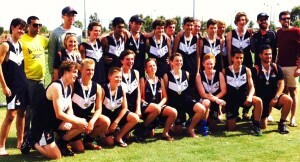 A well deserved Silver medal was the result, the best result for Victoria for a while! The team was presented with their medals by (Victorian) Kookaburras players – Chris Ciriello, George Bazeley, Glen Simpson and Russell Ford. A great effort by all – with much to look forward to in future. 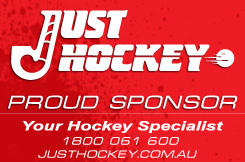 Play the Whistle is a Hockey Australia initiative which promotes and rewards good behaviour from players, coaches, managers and spectators of junior teams. The program will be introduced for Hockey Geelong Junior Competition matches in 2014, under the guidance of the Hockey Geelong Umpiring Panel. At the end of the match, umpires for each match will award points to each team. Points given will reflect the degree of fair play and sportsmanship which the participating teams have shown. Coaches, managers and spectators are included in this assessment as well as the players, so it is an indication of the attitude of the whole ‘team’ to the game. The Play the Whistle points will be recorded by the umpires on the team sheet and tallied. At the end of the season, the team with the highest number of points in each age division will win a prize. 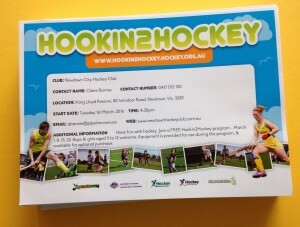 The Newtown City Hockey Club Code of Conduct requires all members, whether players, officials or spectators, to ensure enjoyment of the game of hockey for all participants by demonstrating and promoting an atmosphere of fair play, sportsmanship and a welcoming and inclusive environment for all. The Newtown City Hockey Club is very fortunate to have many members who are willing to umpire our matches. The majority of our umpires panel are aged less than 18 – a fantastic achievement. We have players aged 11 and 12 who are keen to learn to umpire. A positive and encouraging experience in umpiring a match will ensure that these people continue to learn and practise their skills, ensuring the availability of umpires for many years in the future. A negative experience may deter new umpires from continuing at all. 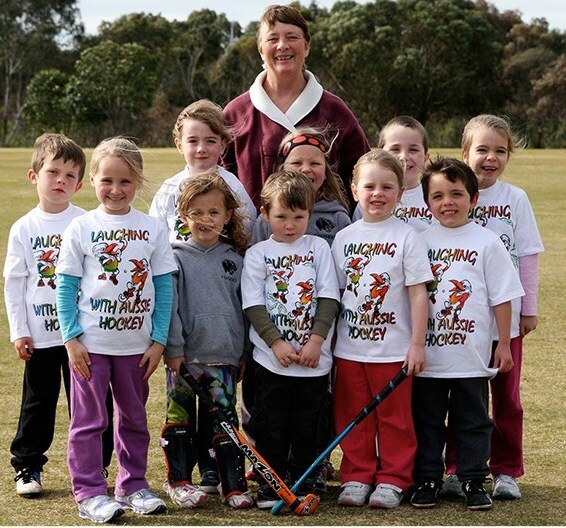 Hockey Geelong aims to identify those teams or people who do not participate in hockey in a positive way, in order to encourage behaviour changes. Teams which follow the rules and display good core values of respect and sportsmanship will ultimately be rewarded. 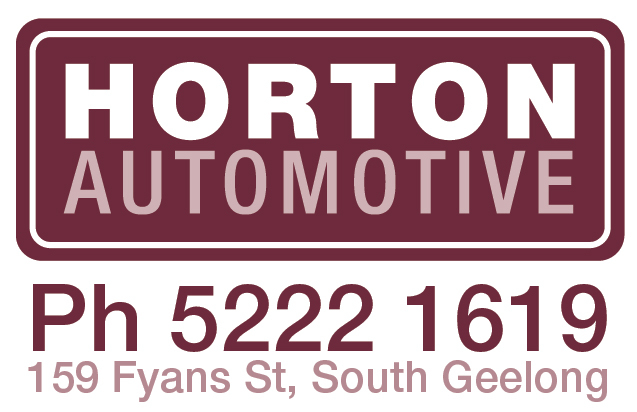 or Hockey Geelong Umpires Panel – Pam Sutton, David Fitzgerald or Courtney Pearson. 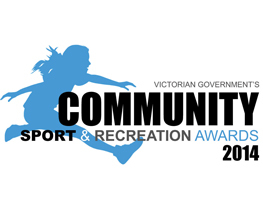 Nominations are now open for the Victorian U21 Men’s and U21 Women’s teams. 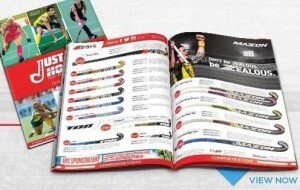 The tournaments will be played in early July in Sydney and Perth. 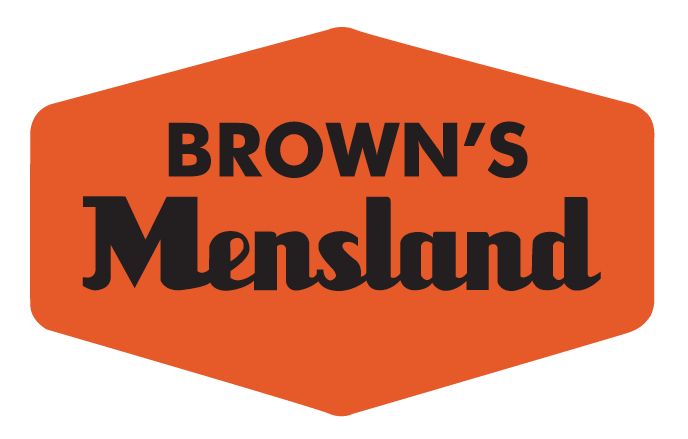 Nominations close on April 23.